In this interaction, Fusion middleware will send data to SAP system. In this interaction, Fusion middleware will receive data from SAP system. In this interaction, Fusion middleware will send data to SAP system as well as Fusion middleware will receive data from SAP system. 1. 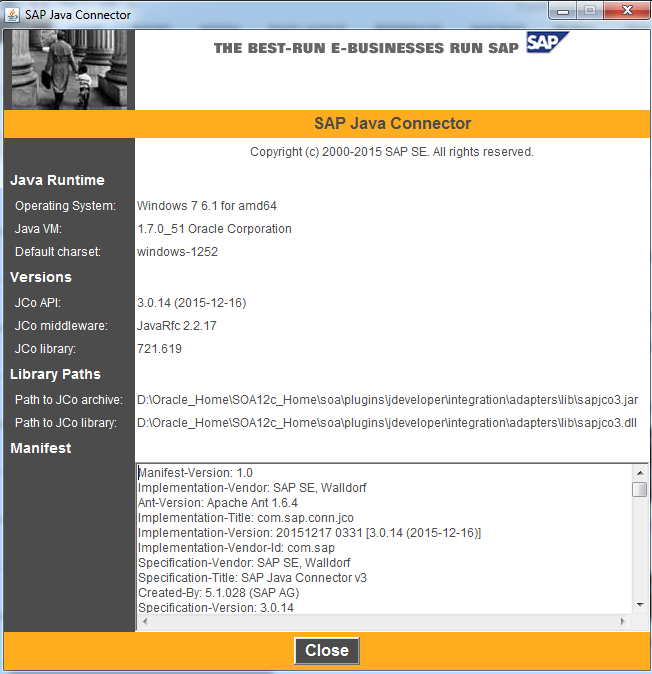 Download, Configure and Verify SAP JCO library. 2. 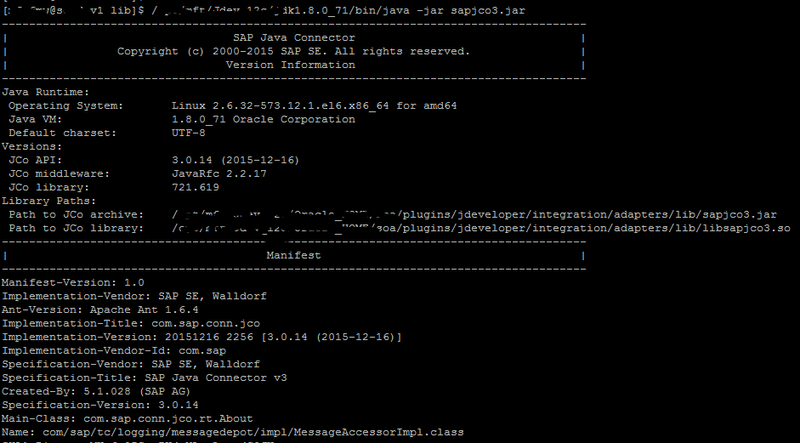 Create SAP Adapter using JDevloper 12c Design Time. 3. Deploy and Configure SAP Adapter in Fusion Middleware 12c for Run Time. SAP JCo is a middleware component which is used for communication between the Adapter and the SAP system. This component has to be installed in both design-time and run-time environments of Adapter for SAP. These files are provided by SAP administrator or you can download the installation files from SAP service market place under https://service.sap.com/connectorsusing SAP Marketplace account Details. The compatibility verification should be done for Design time as well Runtime. a. Using Command Prompt, Navigate to the directory where the sapjco3.jar file is located. a. 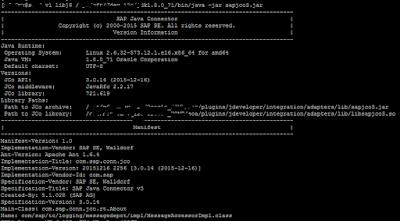 Using Command Processor or Putty, Navigate to the directory where the sapjco3.jar file is located. That's All guys. You have successfully configured SAP Adapter for SOA suite. To create an integration for Fusion Middleware 12c Inbound from SAP, follow the steps in my next blog post. To create an integration for Fusion Middleware 12c Outbound from SAP, follow the steps in my next blog post.